November 30, 2017, 12:00 p.m. The new Food on Demand report from YouGov explores the changing ways that Americans feel towards food delivery apps, which have in recent years become the mainstay of food delivery service. 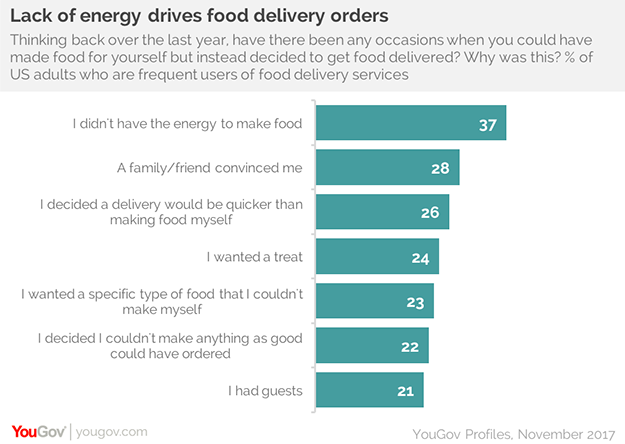 Among adults who are frequent users of food delivery service, 37% said that they ordered food because they didn’t have the energy to make food on their own. While the report cites a number of popular reasons, the influence of family and friends on consumers’ decision to order out was significant. 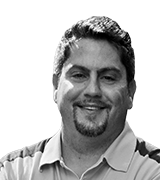 This reason represented 28% of respondents, suggesting that word of mouth still has a powerful role to play in the food delivery business. The food delivery app report also sought to gauge interest in new types of food apps in order to provide insight into potential markets. The findings suggest that innovative new app concepts may find a home with frequent food delivery app users, and may convert some others. 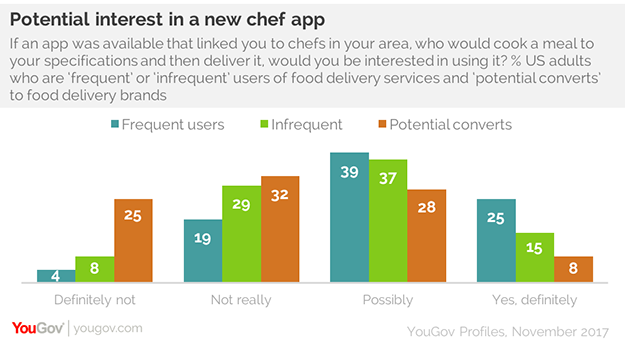 A quarter of potential converts to food delivery apps said they would definitely not be interested in a new kind of app that matched users with a local chef who would prepare and deliver a meal to custom specifications. However, a quarter of frequent users said they would definitely be interested in such an app; 8% of potential converts and 15% of infrequent users agreed. Findings like these and others in the report provide insight into potential untapped markets and angles for food delivery apps.